Johann Amos Comenius (Komensky), great educator, the last bishop of the old church of the Moravian and Bohemian Brethren, was born 28 March 1592 at Niwnic in Moravia, went to Herborn in Nassau, Germany, in 1611 to study theology, attended the university at Heidelberg in 1613, and journeyed to Amsterdam in 1614, where he met the wealthy merchant de Geer, who became his protector and patron. Too young to take over a church office, he assumed the principalship of the Brethren school at Prerau. Here he wrote Prescriptions for an Easier Grammar, which demanded consideration of the folk-speech in the school. From 1618 to 1621 he was preacher and school inspector in Fulnek. In 1621 he lost all his possessions as well as wife and child in the Spanish invasion. As a refugee he wandered about, strengthening the Brethren, and visited the cities of Görlitz, Frankfurt a.O., and Berlin. In 1628 he left his home with thousands of the Brethren. At the boundary he fell on his knees and with tears prayed "that God would not depart from Moravia and Bohemia, but would retain a seed there." On 8 February 1628 he went to Lissa in Poland and taught Latin at the Brethren Gymnasium there; from 1626 to 1641 he was rector of the school. Here he wrote his world-famous books, The Great Didactic (1636-37, first published 1657-58), with the motto, "Omnia sponte fluant, absit violentia rebus"; Teachings of the Mother School; The Gate of Language (1631); and previously, The Labyrinth of the World and the Paradise of the Heart (1623). In 1632 he was made secretary of the Moravian brotherhood and was put in charge of its student youth. In 1641 he was called to England and in 1642 to Sweden to reform the school system. In 1648 he was chosen bishop of the brotherhood. Now he had to take up residence in Lissa again. The hope of the Brethren in the Peace of Westphalia failed them, for they were excluded from its provision of toleration and their existence destroyed. Comenius wrote The Bequest of the Dying Mother, the Unitas Fratrum, a book which cannot be read without emotion even today. In 1650, at the invitation of the Duke Siegmund Rakoczy he went to Hungary and organized the Saros Patok school. The death of the ruler caused him to return. In 1656 Lissa was destroyed by Sweden, and Comenius again lost all his possessions. Impoverished and worn, he resumed his wandering. He found brief asylum in Silesia. Driven from Frankfurt a.O. by the plague, he went to Hamburg and then to Amsterdam (1656), where he remained active until his death on 15 November 1670. Of the total of 106 books which Comenius wrote, two others must be specifically mentioned here. His Orbis pictus (1658) was in Goethe's time still considered the best book of pictures. Here he added the use of the visual sense to education, which had hitherto employed only the auditory sense. The book The One Thing Needful (1668), written two years before his death, offers the best insight into his religious position. Comenius, the "seer of pedagogy," the founder of our modern theory of education, the greatest promoter of the German elementary school besides Luther and of instruction in the native tongue, the energetic defender of the Christian faith against all false doctrine and free-thinking, the champion of unity in the Protestant churches, a messenger of peace in the midst of the noise and strife of his time, held a position very near to that of the Mennonites. Although he had few actual contacts with them, he repeatedly defended them against attack. In his Questions about the Unitas (1663) he says, "The Anabaptists are preserved by their inner constitution which is more perfect than in any other brotherhood." In 1661 he takes their part against the unitarian Zwicker who had questioned their trinitarian orthodoxy, with the remark that he had from boyhood been acquainted with the Anabaptists of Hungary, and that these "simple people" had always held a belief in the Triune God. It is clear that Comenius referred to the Hutterites. Although Comenius was in Amsterdam from 1656 on, there is no evidence that he was acquainted with any other Mennonites or Anabaptists. The third centennial of the birth of Comenius (1892) was a well-attended memorial. Mennonites also took part in it. At the public celebration in Danzig, H. G. Mannhardt gave an impressive address. The Elbing Mennonites arranged a church memorial service, which was attended by non- Mennonites. A dignified service was held in Amsterdam. The preliminary celebration held in Holland in the house of the onetime patron of Comenius, Laurens de Geer, was conducted by P. van Eeghen. Hege, Christian and Christian Neff. Mennonitisches Lexikon, 4 vols. Frankfurt & Weierhof: Hege; Karlsruhe: Schneider, 1913-1967: v. I, 368. Kvaczala, J. J. A. Comenius. Berlin, 1914. The Labyrinth of the World, translated by M. Spinka. Chicago, 1942. Monats­hefte der Comeniusgesellschaft I, 19 ff., 75 ff., 295 ff. ; II, 85 ff., X (1912): 91 ff. ; XXV: 158 ff. Needham J. and R. F. Young. The Teacher of Nations. Cambridge, 1942. Spinka, M. John Arnos Comenius. Chicago, 1942. Neff, Christian. "Comenius, Johann Amos (1592-1670)." Global Anabaptist Mennonite Encyclopedia Online. 1954. Web. 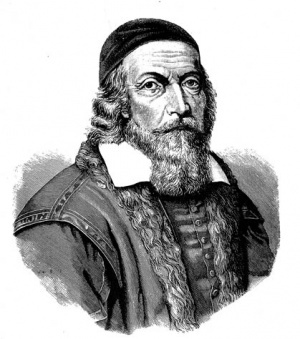 26 Apr 2019. http://gameo.org/index.php?title=Comenius,_Johann_Amos_(1592-1670)&oldid=144049. Neff, Christian. (1954). Comenius, Johann Amos (1592-1670). Global Anabaptist Mennonite Encyclopedia Online. Retrieved 26 April 2019, from http://gameo.org/index.php?title=Comenius,_Johann_Amos_(1592-1670)&oldid=144049. Adapted by permission of Herald Press, Harrisonburg, Virginia, from Mennonite Encyclopedia, Vol. 1, pp. 647-648. All rights reserved. This page was last modified on 15 January 2017, at 23:19.